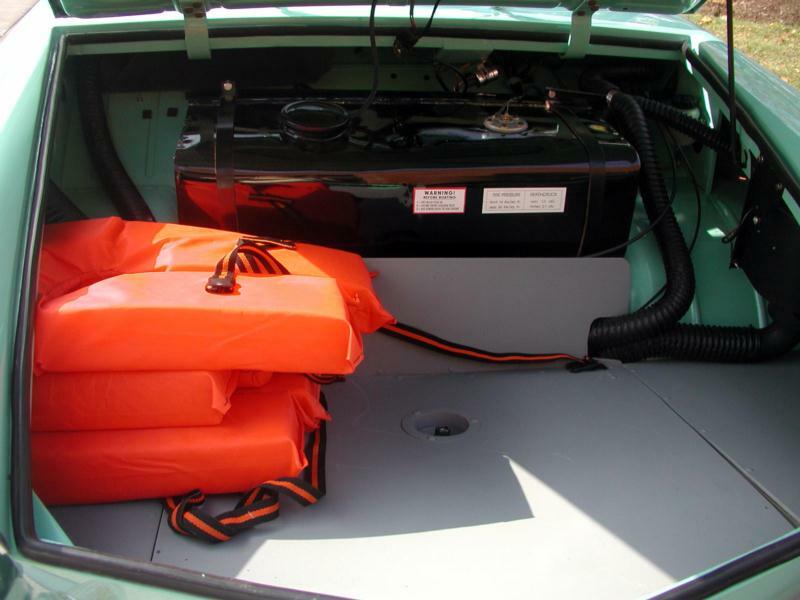 The Amphicar Model 770 was developed by German designer Hans Trippel, who had been working on amphibious vehicles since 1932, including the WWII Volkswagen Schwimmerwagen. 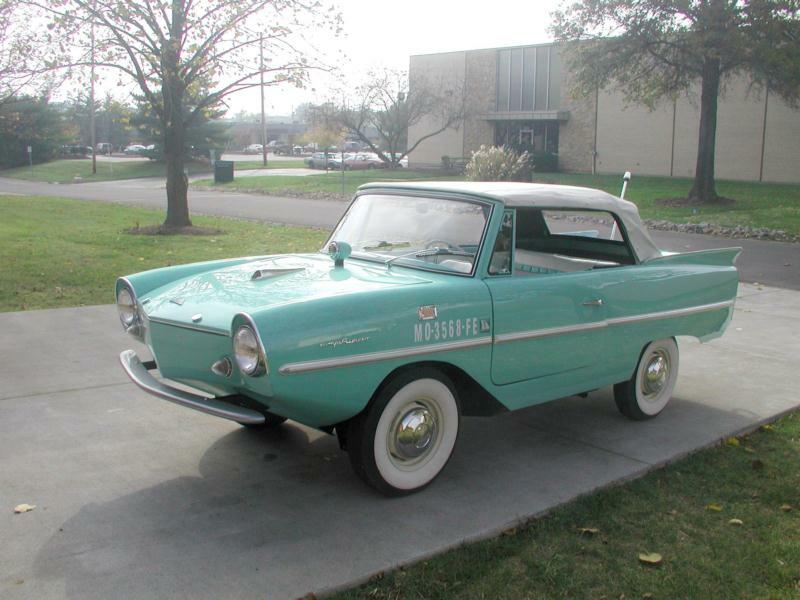 The Amphicar first surfaced at the 1959 German auto show, and came ashore in the U.S. on April 1, 1961, at the New York Auto Show. The money behind the project (some estimates are as high as $25 million) came from the American Quandt Group, and the car was built in West Germany. 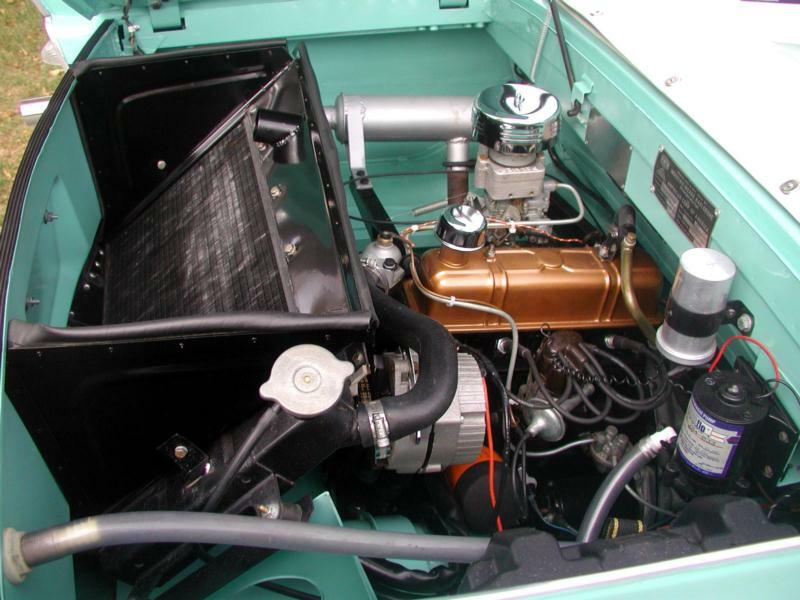 The four-seat convertible was powered by a rear-mounted, four-cylinder Triumph Herald engine of 1,147 cc, which generated 43 hp. The engine drove the rear wheels on land and two propellers when the car was in the water. The front wheels steered, both on land and in the water, and the car/boat had four speeds and reverse. The doors locked shut for water travel. The Model 770 was necessarily tall to enable it to enter and exit the water, and it maintained 21 inches of freeboard so that it couldn’t be sunk by a passing speedboat. Both of those factors hampered handling on the road. 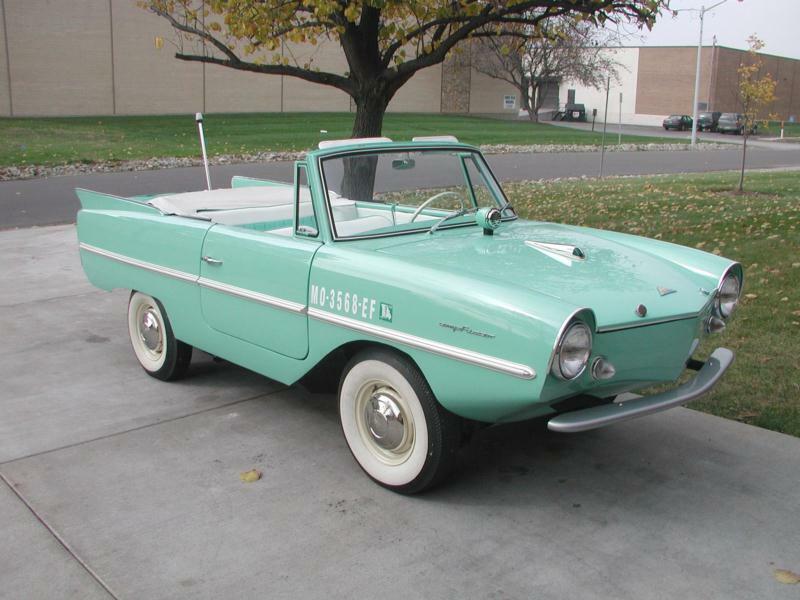 The Amphicar was also expensive at $3,395, though that price came down to $2,695 in 1964. All the same, that amount of money could also buy a new Mustang convertible, which the public overwhelmingly favored. 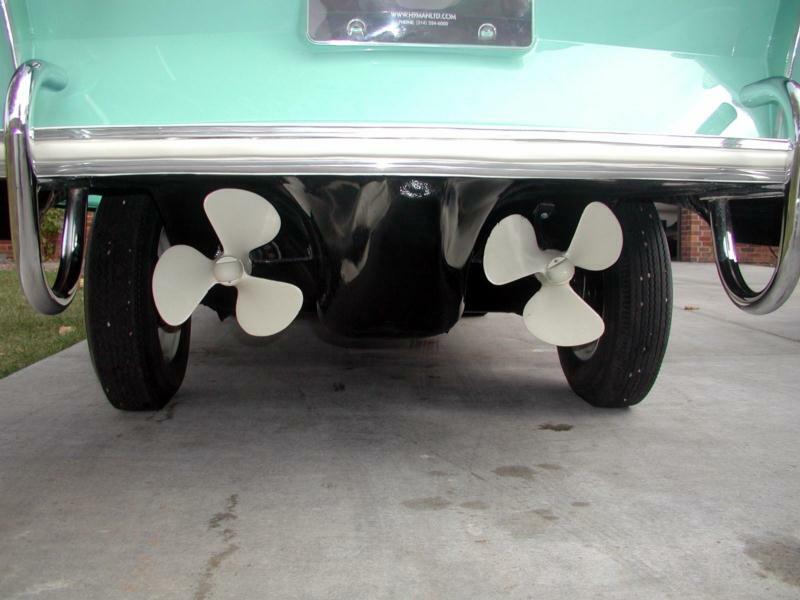 Nevertheless, a few people loved the Amphicar, which was recognized by the U.S. Coast Guard as being a legitimate boat. There were 71 dealers in the U.S. at one time and an estimated 600 of the 800 built found their way here. 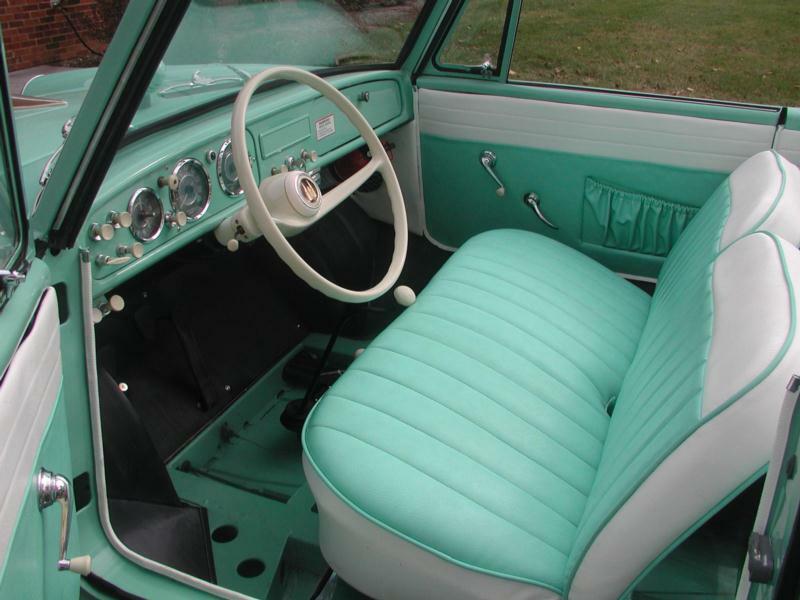 Many have been restored and several very high profile sales have raised the car’s profile. 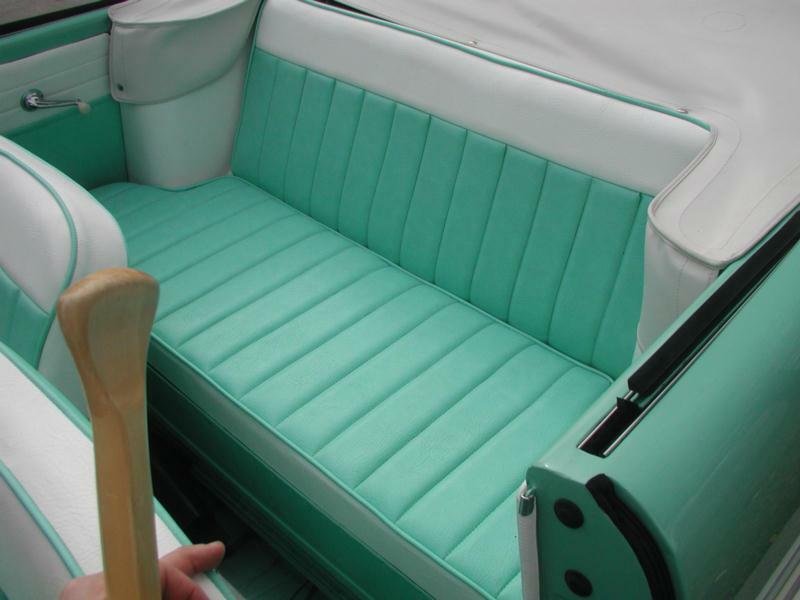 The usual caveats about rust apply in spades to the Amphicar. Any used in salt water rusted badly, with potentially disastrous results, so bulletproof provenance is essential. 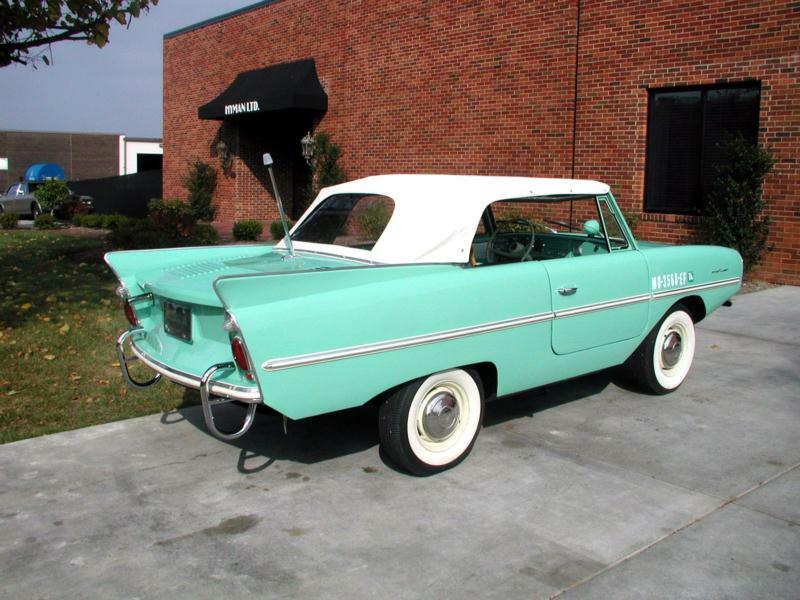 A good Amphicar Model 770 is a novel experience, to say the least, though, and delivers an ownership experience that is wholly unlike any other.